Cardi B whispers about her career and the joys of being a mother in a new ASMR video. ASMR -- or autonomous sensory meridian response -- refers to a calming feeling that is triggered by whispering or tapping which helps people fall asleep or relax. Cardi B says in the video, posted by W Magazine on Monday, that she enjoys watching ASMR videos to help her fall asleep despite her husband Offset of Migos fame finding it weird. Cardi B fully committed herself to the idea of ASMR by talking softly into two microphones and petting a soft rug. "My favorite thing about being a mother is that I have somebody to look forward to looking at every single day and night," she said. Cardi B gave birth to her daughter Kulture Kiari in July. "I love the way she looks at me," Cardi B continued. "She looks at me like she needs me more than anything." 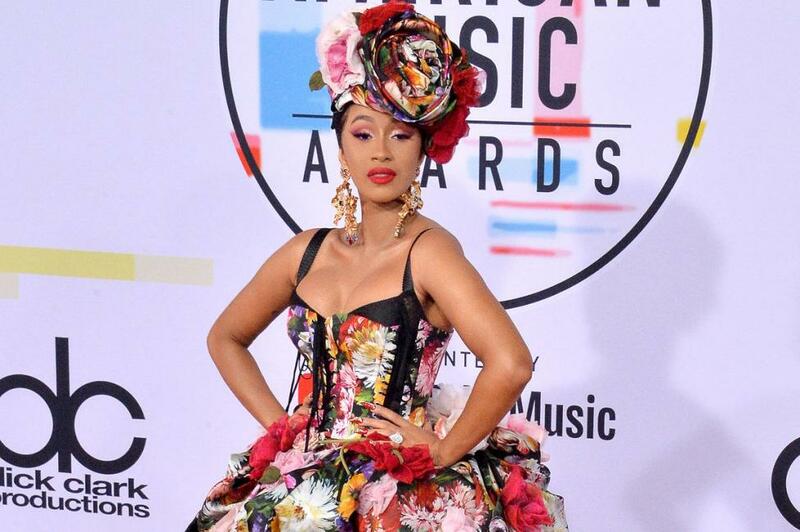 "Sometimes I wake up right next to her and she just looks at me like I'm a present from god but she's my present from god," Cardi B said. Cardi B announced on Instagram Monday that she is going to release a new single titled "Money" on Thursday. BrockHampton's 'iridescence' is the No. 1 album in the U.S.